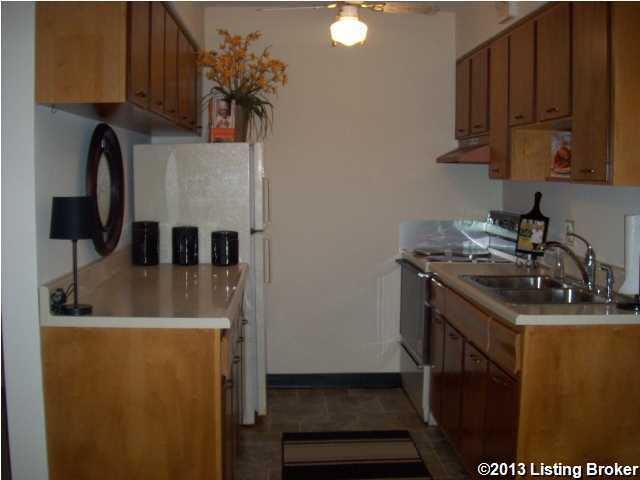 Conveniently located two bedroom condominium with balcony, storage and laundry facility in basement. Additional personal storage in basement. Painted throughout, carpeting and kitchen flooring just completed (March, 2013). Replacement windows. Common entry to complex clean and inviting. Condominium Association replaced roof in Summer, 2012 (per seller). There is assigned parking in addition to visitor parking. Swimming pool, garden area and clubhouse a plus! Quaint condominium community nestled in scenic area surrounded by woods and the Louisville Nature Center and Beargrass Creek State Nature Preserve. Immediate occupancy upon closing. Minutes to Audobon Park, shopping, restaurants and more. Woodcreek is a subdivision within the city of Louisville, Kentucky. There are currently 0 Homes for Sale within Woodcreek, with asking prices ranging from $0 to $0. The average list price per square foot of the available inventory in Woodcreek is $0, which is the Louisville average of $145. The Average Sales price of all sold real estate in this subdivision for the past year is $77,833. Recent comparable homes have been selling for 95.75% of their asking price. Waterfront homes represent of the available Woodcreek inventory. The population of Louisville, according to the 2010 Census, is 597,337. The total number of households in the zip code of Woodcreek is 7,342, with an average household size for of 2.29 people. The total number of renter households within the zip code of 40213 is 2,937, which means that 60.00% of households in this zipcode are owner occupant households. 3501 Illinois Ave #E14, Louisville KY 40213 is a Condo, with 2 bedrooms which is recently sold, it has 785 sqft, 0 sized lot, and See Remarks parking. A comparable Other, has bedrooms and 0 baths, it was built in and is located at and for sale by its owner at $ 0. This home is located in the city of , in zip code , this County Other, it is in the Subdivision, LYNNVIEW and NORTH AUDUBON are nearby neighborhoods.